Sage Creek will take on the classic musical Les Miserables later this year. Auditions are scheduled for late October. *Full disclosure: I was the assistant director for last year’s winter musical, Footloose, and will be assistant directing for this year’s winter musical, Les Miserables, as well. By this time next month, the majority of students at Sage Creek will be confirming the last details of their Halloween plans, carving pumpkins or picking out scary movies to watch with friends. The minority, however, are the theatre kids, who will be preparing for something very different, but just as scary— auditions. 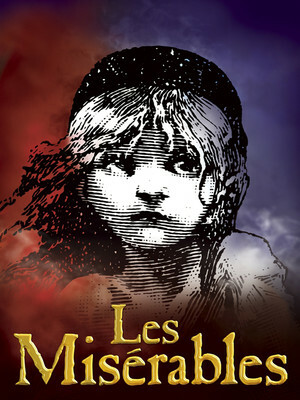 Auditions for this year’s winter musical, Les Miserables, will be held during the last week of October in the PAC black box theatre, or in room 5101. Vocal auditions will take place after school on Monday and Tuesday, and callbacks will take place after school on Wednesday and Thursday. Unlike previous years, there is no dance audition, but students enrolled in intermediate or advanced theatre should take note that they will have the opportunity to audition in class. Porter isn’t wrong. Les Miserables is known to be a vocally challenging show, as most of the musical is sung through and there is little talking. 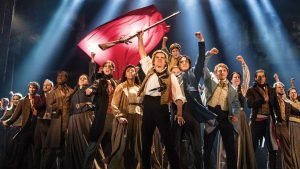 The musical itself is based on a historical novel by Victor Hugo about the struggles of the French Revolution and was made into a movie in 2012. While some students are still reeling about the exciting idea of putting on such a big show, others have also begun to think about what this show will entail. Mia Karvounis, a Theatre 3 student who has participated in Sage Creek’s winter musicals since her freshman year, shared her thoughts on the matter. “Do you hear the people sing?” The Broadway performance is one of the best shows out there. It will take a lot of work for the Sage Creek actors to sing their hearts to the beat of the drum. This challenge doesn’t phase Karvounis, however, nor any of her theatre companions. When asked, Karvounis attributes this confidence to the bonds she has formed with her fellow classmates. Though the theatre community is already described as a “family” by its members, they make it clear that they’re the type of family that accepts new people with open arms. This welcoming quality is a common one in the theatre community, according to Karvounis, who remembers her own experience as the new kid in theatre. This is the type of welcome the theatre community gives to all its new members, and with a huge show like Les Miserables, students who have been debating whether or not to audition are encouraged to take a chance and go for it. It is also important to note that this particular show, compared to Sage Creek’s past winter musicals, is known for its large amount of male roles. Students nervous about auditioning can also rest easy knowing that they will not be the only new kids in the program. On a separate note, Sage Creek’s performing arts center (PAC) finished construction at the end of last school year, and the new theatre is ready to be put to use for this year’s winter musical. 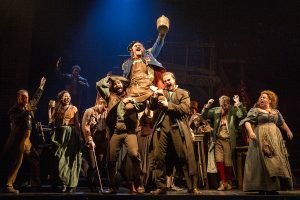 Having an actual stage close by opens up a lot more possibilities for the theater program, as well as what they can do with their rendition of such a grand, impactful show like Les Miserables. The possibilities aren’t limited to just the actors, however, but also benefit the technical side of theatre. With all of the new technology in the PAC, technical theatre has the opportunity to take musicals to a new level, which is exactly what is needed for Les Miserables: a show meant to be nothing other than awe-inspiring. The innkeeper is hoisted up during a fantastic musical number, “Master of the House.” Sage Creek Theater is taking on this fantastical musical later this year. In addition to all of this advanced technology, Karvounis perfectly summarized a common feeling from many theatre students about getting to use a theatre located at their own school. With so much going for them, the theatre department is buzzing with excitement as auditions approach. Students interested in joining the theatre family and taking on the challenge of Les Miserables should keep their eyes peeled for audition information that will soon be posted on the Sage Creek Drama Website. This year’s winter musical looks set to be a challenge, but also a way to expand and bring the theatre community closer together through laughter and shared experiences. Hey, Emilie! Nice article. I am horrified by this title and I do not wish to proceed further. Very ominous!